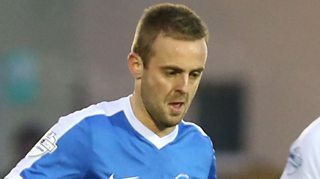 Ballinamallard United captain Richard Clarke says the Fermanagh club may never get a better chance to reach a first Irish Cup Final. Warrenpoint Town stand in the Championship club's way of reaching the showpiece decider. Clarke recalls his winning Irish Cup experience with Glentoran in 2013, where he received the first red card of his career as the Glens ran out 3-1 winners against Cliftonville.